A bankruptcy filing is not something to be taken lightly. While it can help resolve your debt problems, it also will cause you issues with getting credit in the future. Before taking this very serious step, you need to get a competent attorney working with you. 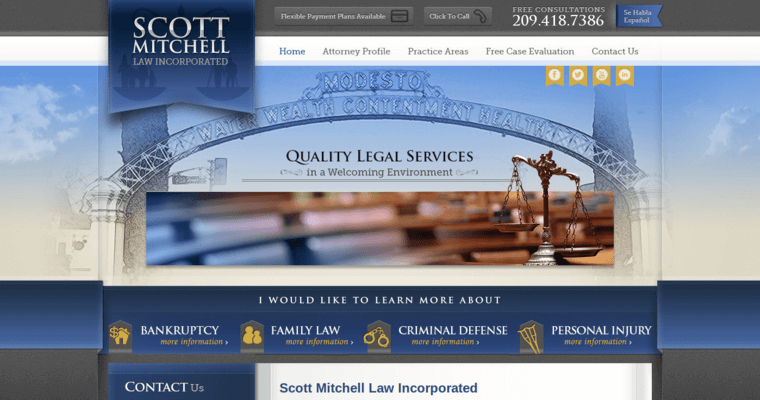 Scott Mitchell Law Incorporated is a firm with the experience and expertise you need to get a successful resolution of your bankruptcy case. Attorney Scott Mitchell has more than 10 years of experience dealing with bankruptcies. Whether you need to eliminate most of your debt with a Chapter 7 filing or just need to liquidate using Chapter 13, Scott Mitchell can help. Call Scott Mitchell Law Incorporated today to set up a consultation to talk about your case or go online to fill out a free case evaluation.